(Bloomberg) — Late last year, Moscow news media reported that an armed man had taken hostages at a candy factory in the city and killed a guard. The alleged shooter turned out to be a former owner of the factory, still fighting for control of it. He told Business FM before his arrest that he was resisting a raid staged by law enforcement agents to seize the business. In court he said he had killed the guard in self-defense. He is now in remand prison, or pre-trial detention, pending the results of an investigation. His claims struck a chord in Russia, where innumerable business owners, company managers, lawyers and other professionals have spent years in detention and lost their assets, their health or even their lives to a widespread culture of prosecutorial excess. One spent a year in prison accused of stealing the intellectual property of leopards by using their skin pattern in the furniture upholstery he made; he lost $360,000, by his count, including his business. Another, a contractor named Andrey Kleshchin, was just released from a year’s confinement in his apartment, where he was banned from using the telephone or the internet. “But the most unbearable thing is to watch my business, which I had built over the years, being destroyed,” Kleshchin wrote in response to questions passed to him by his lawyer. In fact, there are far fewer cases of political persecution in Russia than of lawless prosecutions that bring down businessmen and professionals who have never challenged the government of President Vladimir Putin. There is even a cottage industry in girding company owners and their employees for a legal assault, the sort of hostile-environment training that executives and journalists working in dangerous places are given. One firm, Selyutin and Partners, offers an audit to identify a company’s vulnerabilities, followed by workshops for top managers and other staff on dealing with law-enforcement agents—how to talk to them, how to react to threats or raids. Aleksander Selyutin, the firm’s owner and a former policemen and judge, numbers among his clients both Russian and foreign companies, including U.S. companies, that are doing business in Russia. “I’ve carved out the niche and created a market, which is full of people who copycat what I am doing,” he said. These services are being marketed while attacks on Russia’s business class expand to companies that contract with the government, according to Olga Romanova, a former journalist and the founder of Russia Behind Bars. The organization provides legal and financial help to those it considers victims of prosecutorial machinations, especially businesspeople. In an interview late last year in Berlin, Romanova described Russian law enforcement—police, prosecutors and the judiciary—as a single, predatory institution that lives off looting private capital. The role of the courts is particularly important, she said, because they block opposition candidates, such as Alexey Navalny, Russia’s opposition leader, from running in elections, or jail them when the Kremlin finds it convenient. In return, local authorities are given wide latitude. Now, she said, the siloviki—current and former members of law enforcement, security and military agencies—are turning to businesses controlled by rival law enforcers or affiliated businessmen with access to government contracts. They’ve gone after her, too, Romanova said. She announced in October that she had fled the country for Germany after the authorities accused Russia Behind Bars of embezzling money allocated by the World Bank to improve the financial literacy of Russian prisoners. The World Bank’s Russian affiliate said the money was properly spent. 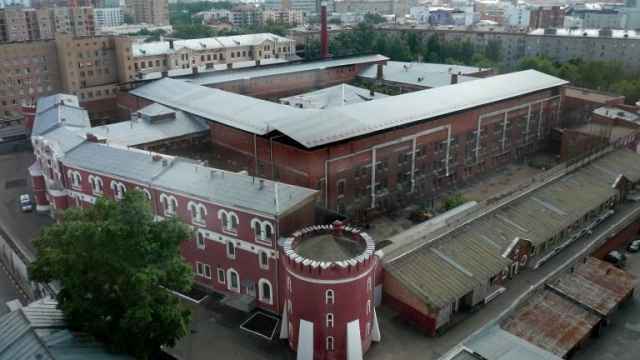 Russia’s Federal Penitentiary Service, which she believes spurred the case, said in an e-mail that it sent information about the group to the Ministry of Finance but didn’t complain about it to law enforcement. Among the new wave of cases is the contractor’s. Kleshchin got a lucrative job from the Interior Ministry to construct a building for a local directorate in the Lipetsk region—complete with a remand prison. Eighteen months after the ribbon-cutting, the ministry accused him of embezzling because some elements of the project, such as connecting to the power grid, had cost him less than the contract forecast. Kleshchin, whom Russia Behind Bars is assisting, said he suffered a heart attack soon after his arrest.In a small but important victory for Russia Behind Bars, a lawyer affiliated with the group got him released on bail on January 8, though the fraud charge stands and he still faces up to 10 years in prison and the auction of his property if a large fine is imposed. The Interior Ministry’s directorate for the Lipetsk region didn’t respond to a request for comment. "It’s easy to see the whole of Russian law enforcement as some corrupt and monolithic corporation, but I think the truth is much more complex,‘ Mark Galeotti, an expert on post-Soviet organized crime, said. In the case of the Moscow candy factory, the Kremlin’s ombudsman for the rights of entrepreneurs, Boris Titov, told the Russian news service TASS that he sees in the case ‘every sign of a hostile takeover by employees of various government agencies’ and has arranged for a well-known lawyer to represent the ex-factory owner and alleged shooter, Ilya Averyanov. Titov, who has announced that he is running for president, declined to comment on the unlawful prosecution of businessmen, offering his official surrogate, ombudsman Aleksandr Khurudzhi, in his place. Khurudzhi told Bloomberg the two had visited Averyanov in his prison cell and found his account of the incident credible, pending a full hearing of both sides. To identify victims of the system, Russia Behind Bars depends on what Russians call ’prison telegraph,‘ or word of mouth. 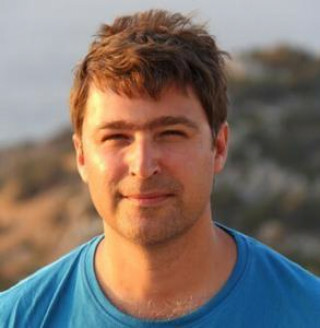 Ruslan Telkov, one of the group’s first success stories, learned about the organization when in 2012 he befriended entrepreneur Aleksey Kozlov, Romanova’s husband, in a cramped, smoke-filled room where guards assembled prisoners before driving them to various courts around Moscow. Telkov said in an interview that he believes his prosecution was arranged by competitors because he broke a cartel agreement that kept prices at an unreasonably high level. He spent 2012 in two remand prisons before a lawyer provided by Russia Behind Bars managed to drag him out. Half the time, Telkov said, he was confined to a cell in which 10 people shared six beds and slept in shifts. It took several years after his release before his case was closed—on Putin’s personal orders, he believes, after Russia’s business ombudsman, Titov, cited it in a report to the president. The story, touted by the ombudsman’s office as a victory, has an odd sort of happy ending. 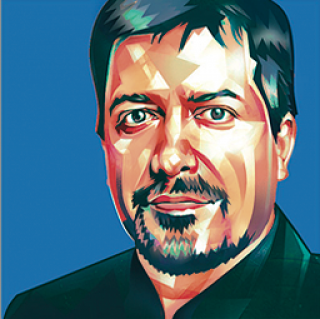 Telkov is free and no longer threatened, but his business was destroyed, and he lost all the money he had invested in Hong Kong equity funds because he couldn’t make monthly payments while in prison. By his count, his total losses amount to 20 million rubles ($360,000). Fraud charges such as those brought against Telkov are a common tool of both politically motivated and nonpolitical, corruption-driven prosecution in Russia. It was for fraud that Navalny was sentenced to five years in prison in 2013, for buying a batch of timber and selling it at a higher price. Yet his was just one of ‘many thousands’ of similar—if less political—cases, said Alkhas Abgadzhava, the lawyer who represented Telkov. Russia Behind Bars grew out of Romanova’s fierce campaign a decade ago to free Kozlov, her husband, who was finally released in 2013. His case was cited by the U.S. Congress in the Magnitsky Act as an illustration of the lawless treatment of Russian businessmen. The act, which imposes sanctions on officials accused of human rights violations, is named for the Russian lawyer and whistleblower Sergei Magnitsky who died in a Moscow prison in 2009. Many cases are initiated by law enforcement agents without any citizen filing a complaint, Romanova said, and courts often issue guilty verdicts without establishing whether any party has suffered damage from the defendant’s actions. Such chilling vagaries explain why small business, a stalwart of economies such as that of the U.S., hasn’t developed as it might have in Russia. Detectives, prosecutors and judges are pushed into predation by a sense of solidarity with peers and superiors, a fear of being ostracized and the constant demands of targets their agencies set for crimes solved and criminals prosecuted, Selyutin, the hostile-environment trainer, said. But the main reason, he said, is greed. At a meeting with judges in 2015, Putin said 200,000 business-related criminal cases had been opened the year before, of which only 46,000 had reached the court. Yet 83 percent of businessmen involved in the 200,000 cases had lost their businesses, he said. 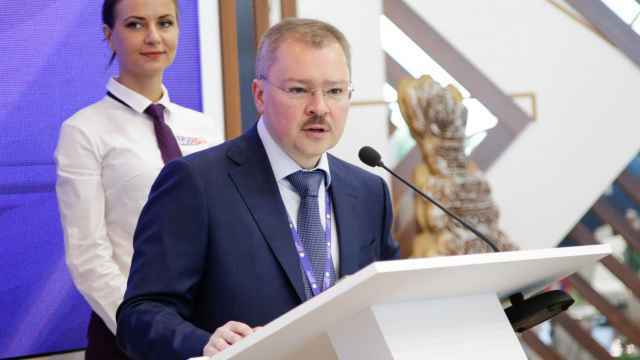 It is difficult to confirm the statistics, but “things only got worse” since the 2015 meeting, said Khurudzhi, who handles imprisoned entrepreneurs for Titov, the business ombudsman. 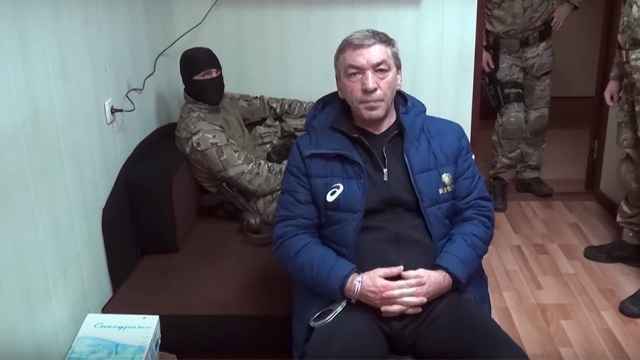 Khurudzhi himself is obliged to Titov for getting him out of remand prison in 2016; he spent almost two years there awaiting trial after being accused of embezzlement. Courts almost always sympathize with the state. In 2016, only 0.36 percent of criminal court trials resulted in acquittals, according to Russia’s Supreme Court. Khurudzhi was among the acquitted. “By the time the trial begins, more often than not the defendants would have already lost their business,” Khurudzhi said. Khurudzhi said the Kremlin had made progress, creating the office of the ombudsman and successfully pushing for a clause in the penal code that punishes investigators for fabricating cases, though he said the clause has yet to be invoked in practice. But without a “broad reform” of the courts, he said, the system would continue to upend businesses and ruin lives. At an event Romanova held in Berlin in November, Germans mixed with Russians who say they have been targeted by siloviki. While the Germans, mostly in their sixties, were victims of the Stasi, the East German secret police, the Russian group was varied. Some were young people arrested and jailed in the aftermath of protests in Moscow in 2012 that challenged Putin ahead of the last presidential election. Others represented the much larger group of businesspeople embroiled in the shakedowns. By way of comparison, Russian political prisoners number about 50, according to Russian human rights organizations. The event, which had the air of an industry conference, started with a tour of Berlin’s Tegel prison. Tegel felt like paradise to the Russian participants. “Conditions in Russian prisons are torturous,” Kozlov, Romanova’s husband, said. He also recalled spending days in six-berth train compartments filled with 16 prisoners while being transferred between prisons. “Only a very healthy person can survive it without grave consequences,” he said. 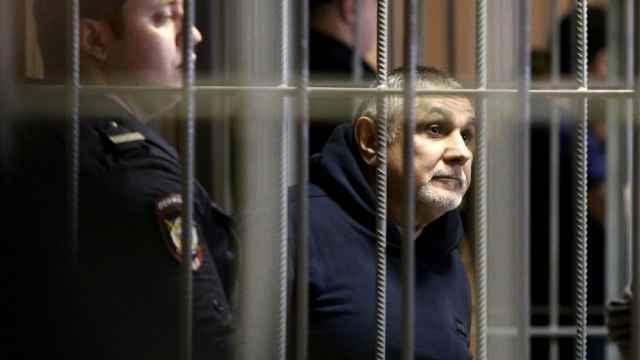 Kozlov found himself in jail after a commercial dispute over a development project with his senior business partner, a member of parliament. After he spent three and a half years locked up, Russia’s Supreme Court overturned his sentence. He was later sentenced and jailed on the same charges and released the year after the Magnitsky bill was enacted. Romanova went on to preside over the crowdfunding of the 2012 Moscow protests. 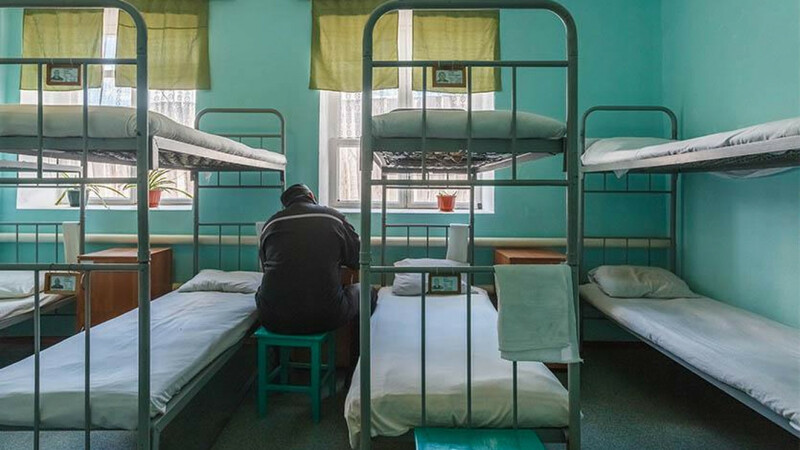 Today, the Moscow office of Russia Behind Bars has 18 employees, most of them former prisoners or relatives of ex-prisoners, assisted by 400 volunteers around the country. Bureaus are gradually being set up in other large cities. The group has offered material assistance, including food parcels and legal and financial help for families of prisoners, to thousands of people, Romanova said. She gave the annual budget as $250,000 and said Russia Behind Bars has been crowdfunded but is seeking grants from European Union governments. “If they proclaim us foreign agents as a result, we’ll proudly carry this title,” she said, although that would subject the group to greater scrutiny by the law enforcement and tax authorities. Meanwhile, Selyutin prepares his clients for the worst. “We explain how detectives choose their targets, how they gather information, what happens when you face them, what kind of things they say and how you should answer, what psychological tricks they use and how to calm yourself down,” he said. Musing on the profit motive, he recalled a gathering he once attended of Federal Security Service agents who arrived in luxury SUVs.